Since his first novel was published in 1968, Chet Cunningham has written and had published nearly 350 works of fiction and several non-fiction books. He is equally adept on horseback, in the techno-thriller arena, or recounting military history. His output includes over 125 westerns and at least 100 men’s action/adventure novels. You can find him if you google him – Chet Cunningham. Click now on his name and that’ll take you to his website. A review for FUGITIVE RUN, one of his latest westerns, can be found at Western Fiction Review. But if you don’t like westerns, don’t worry – he’s written just about everything. 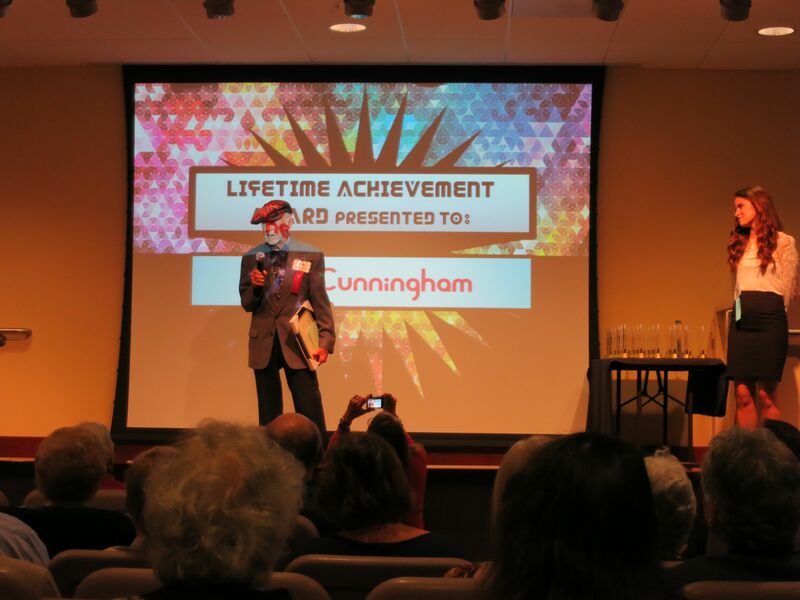 Here’s a photo from June 21, 2014, at the San Diego Book Awards, where he was honored with the Lifetime Achievement Award. Chet started the SDBA twenty years ago. 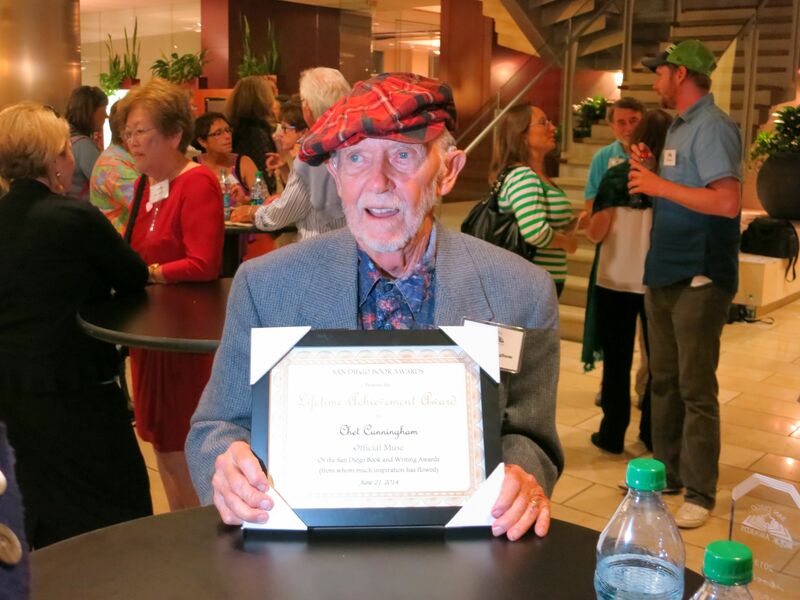 Chet Cunningham, passing on his wisdom at the San Diego Book Awards night. And here’s a close up, so you can see him rocking the Cunningham tartan hat and the beard. My dad is one of the most wonderful people in the world. He was writing up until his death, at age 88, in March of 2017. I remain a daddy’s girl, always.